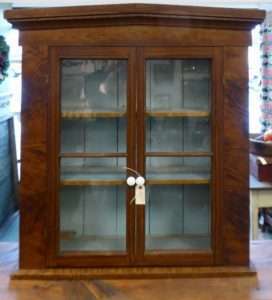 Incredible Shenandoah Valley Corner Cabinet! Wonderful Round Oak Table and a 1950’s Coca Cola Cooler in Great Shape! 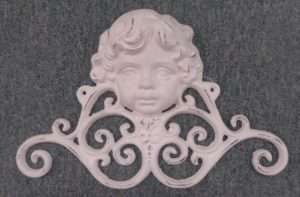 1/2 of the Store is ON SALE this week – Check It OUT!! 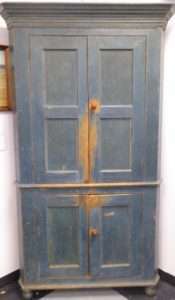 Painted Grain Cabinet from Booth 11 – $525.00. 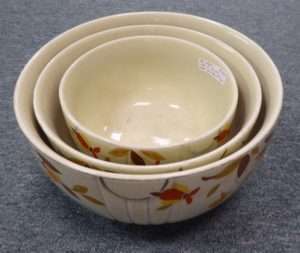 Set 3 ‘Autumn Leaf’ Mixing Bowls, Booth 9 – $97.99. Shenandoah Valley Yellow Pine Corner Cabinet w Original Paint from the Treasure Room – $18000.00. 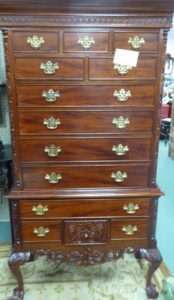 Highboy, Great Detail – $599.00, Booth 43. 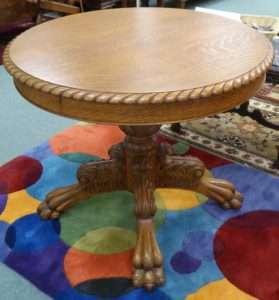 Fancy Round Oak Table w Lion Feet – $425.00, Booth 88. 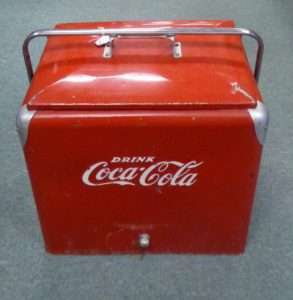 1950’s Coca Cola Cooler w Tray – Booth 38, $265.00. 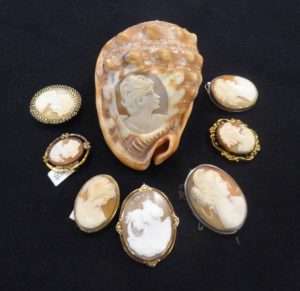 Selection of Cameos, Various Prices, Booth 32. 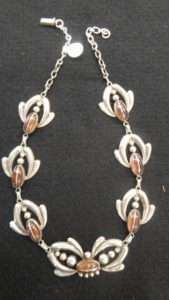 Sterling Necklace w Tiger’s Eyes (? 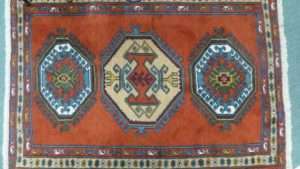 ), $190.00.